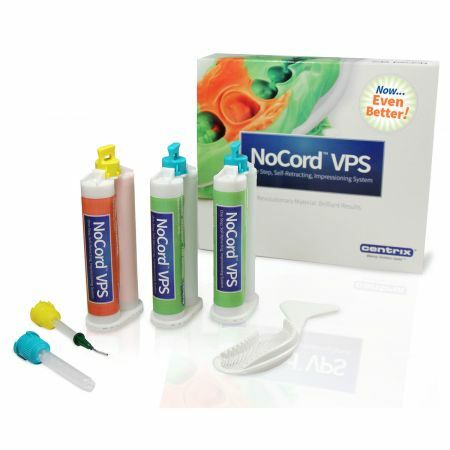 AccessFLO is a low-viscosity, flowable kaolin clay-based gingival retraction paste. Similar to Access Edge, it contains the active ingredients kaolin clay and aluminum chloride to help control bleeding and prevent seepage. 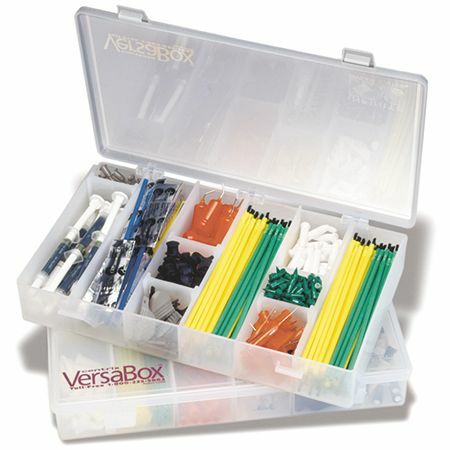 A unique prefilled unit-dose tube allows for easier placement of material in and around the sulcus. (360122), contains 15 prefilled tubes, 10 large GingiCaps and 10 regular GingiCaps. (360123), contains 60 prefilled tubes, 30 large GingiCaps and 30 regular GingiCaps. AccessFLO is a Kaolin clay based material that contains 15% aluminum chloride. Does AccessFLO require a special gun? No, AccessFLO can be used with any composite syringe gun. No, AccessFLO can be expressed using constant steady pressure. Is there much cleanup with AccessFLO? How does AccessFLO compare to Expa-syl? 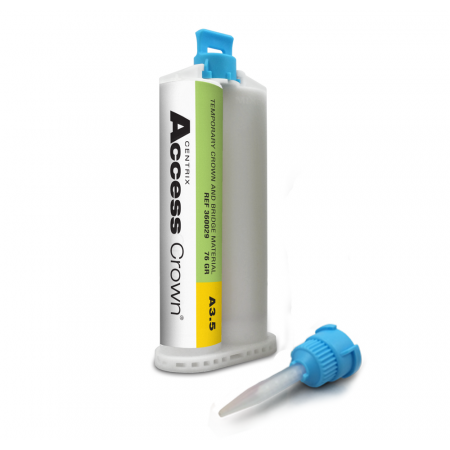 AccessFLO is chemically similar to Expa-syl as a clay-based gingival retraction paste, but in a prefilled, unit-dose delivery tip. How is AccessFLO different in its delivery vs. Expa-syl? 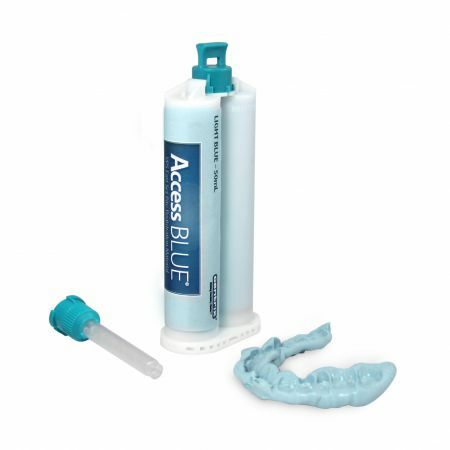 AccessFLO is a similar clay-based gingival retraction paste available in a convenient, unit-dose syringe tip instead of a larger gun (capsule design). 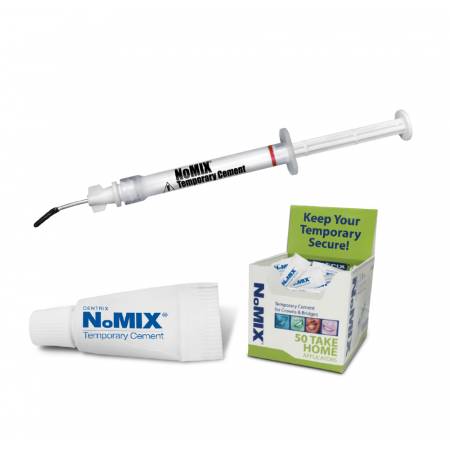 How does AccessFLO control bleeding and gingival fluids? 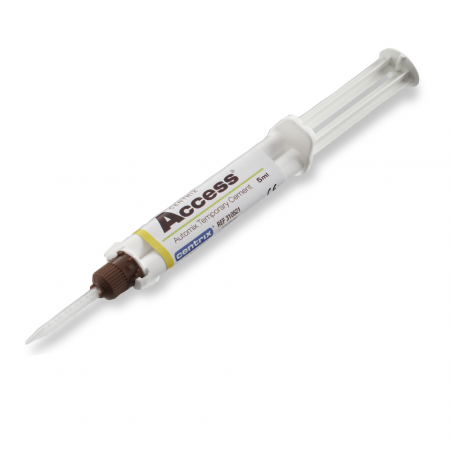 AccessFLO has the astringent action of (approximately 15%) aluminum chloride plus the hemostatic and drying effects of kaolin clay that work to open the gingival sulcus and control gingival fluids. How much time does it take to do the retraction with AccessFLO? 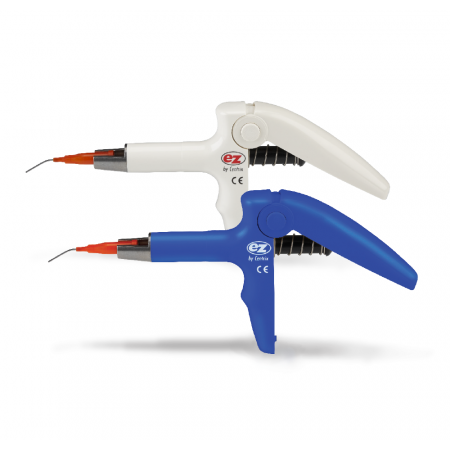 It is recommended that you (wait) leave in place AccessFLO for a minimum of 2 minutes for the paste to control the fluids and create retraction. Is there any risk of tissue trauma with using AccessFLO? No, the AccessFLO material displaces and retracts the tissue through chemical means and works gently with no tissue trauma. How many uses can I get from AccessFLO? AccessFLO is a unit-dose delivery system, so it is designed for single patient use and then disposal after using. Can I use packing (retraction) cord with AccessFLO if needed? 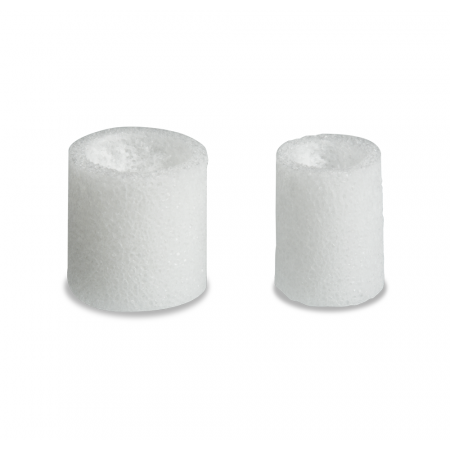 Remove the unit-dose tip from the foil package and insert into any Centrix C-R® Syringe. Remove the cap.